Ækashics – Page 3 – RPG Monster & Character assets! Today we see the release for the Ancient Priestess! 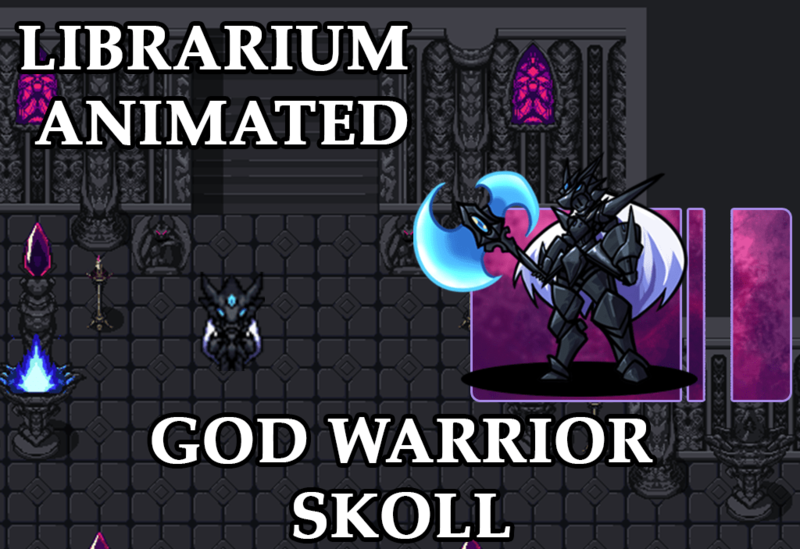 Today we see the release for God Warrior Skoll as suggested by Anonfox93 over at patreon! 4-Direction map sprite, fully redrawn bust portrait and preconfigured animated settings for this creature now available as part of the Second December 2018 Update cycle rewards batch on gumroad! LISTEN LSR SOUNDS 62… 117 THEMES Composed & RELEASEd SO FAR! Today we see the release for Elemental Titans Update II, as suggested by Gregaur-X over at patreon! 4-Direction map sprites for these will be available as patron rewards for the First December Update cycle batch! Today we see the release for The Originator! 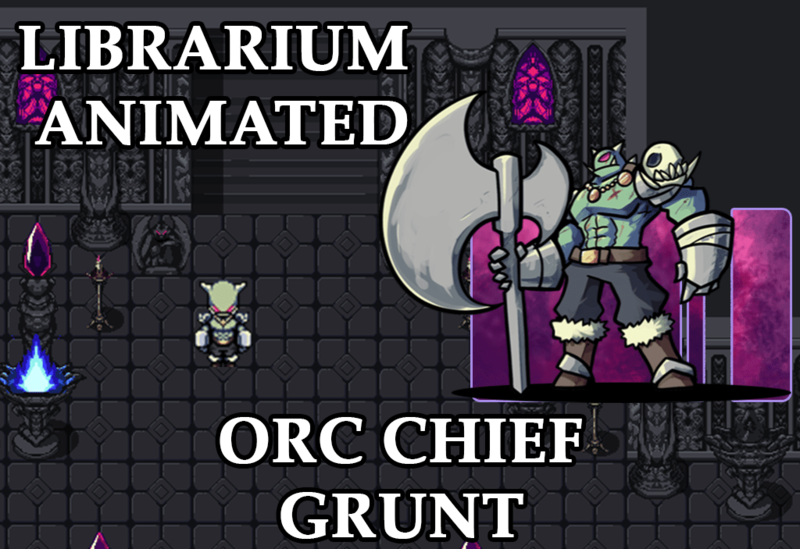 Today we see the release for Orc Chief Grunt as suggested by Gregaur-X over at patreon! A 4-Direction map sprite, Bust portrait and more for this battler will be available as patron rewards for the First December Update cycle batch! LISTEN LSR SOUNDS 61… 116 THEMES Composed & RELEASEd SO FAR! Today we see the release for Zodiac Creatures IV as suggested by Iacas over at patreon! LISTEN LSR SOUNDS 60… 114 THEMES Composed & RELEASEd SO FAR! The Dungeon Crawlers – New features, content and even music! A busy week for The Dungeon Crawlers development, where the core of it has been determined and details previously still up in the air have been decided upon! First off, composer @jazzind_ kindly volunteered to provide the music pieces The Dungeon Crawlers will be using! The minute I heard his work I knew it would match TDC’s vision! Thanks Jazzind! You can check out his work today through his twitter account https://twitter.com/jazzind_ and through his bandcamp for this OST! In the graphics department, tilesets have been planned out and sketched! They are still being finalized, but for the most part no longer in the unknown spectrum! TDC will have 7 different areas, but map tiles for them will be kept simple to finish on time. Gameplay flow has also been decided, as well as the mechanics which will we be encountered when facing regular enemies and bosses. With most of the programming planned for this game already done, now the focus will shift towards the graphic department and refining what is already implemented! And speaking of combat, the graphic syle for monsters has also been decided! I opted to go for the same route as the player character graphic, which will result in a more uniform look, fitting of its gameplay, and above all, in tune with the speed development premise and philosophy TDC follows. Last for this post but not least, a look at the game’s prologue with @jazzind_d ‘s music already in! This game prologue will get illustration work to go with it in the complete release of the game, but is a nice window at the game’s narrative style and atmosphere! In our next post we will take a better look at the tilesets, graphics and finalized NPC portraits!